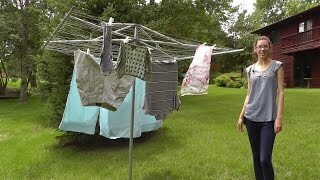 Rotary clotheslines offer you one of the simplest and cheapest ways to dry clothes and laundry outdoors. are now adjustable in height to allow easy use by users of all heights. 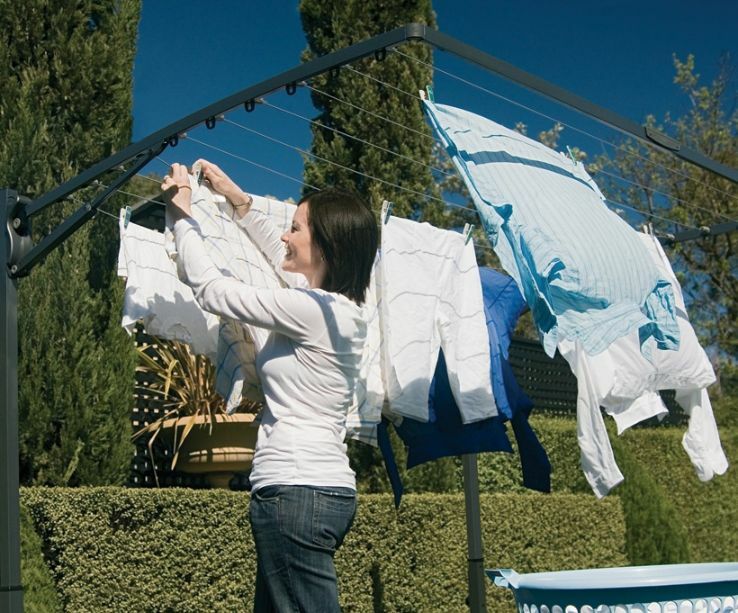 Looking for a rotary clothesline for a small courtyard, or the largest family laundry needs? 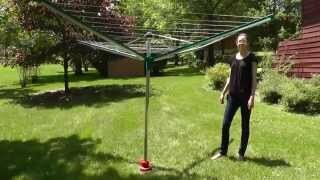 Retractable clotheslines and laundry lines are one of the most popular types of compact clotheslines on the market. 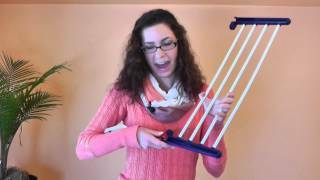 Need a clothesline or laundry line that is only seen when required? 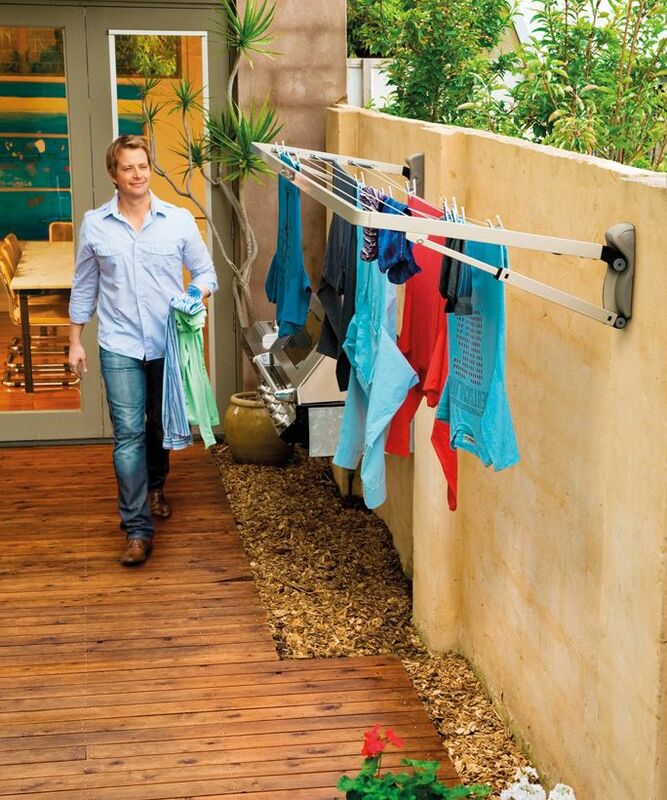 Then a retractable style clothesline is what you should be looking at. 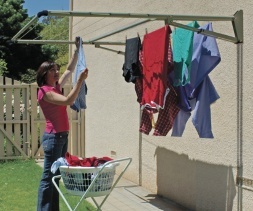 Retractable clotheslines extend out when required, which make them ideal for many of today's compact living situations. 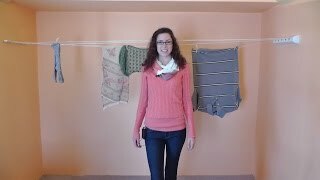 Ceiling mounted clothes airers have been around for centuries and utilize your homes heating to dry laundry. 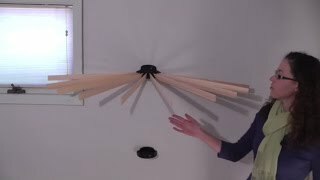 A ceiling mounted clothes airer is a fantastic way to dry your laundry in all weather conditions, plus you also have piece of mind knowing that you are coming home to dry and clean clothes at the end of the day. 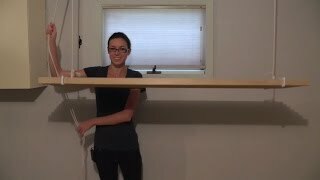 Wall mounted drying racks are the perfect solution around your home when space is at a premium. Then range of wall mounted drying racks available today includes models that are long and narrow and designed for down passage ways and walkways. 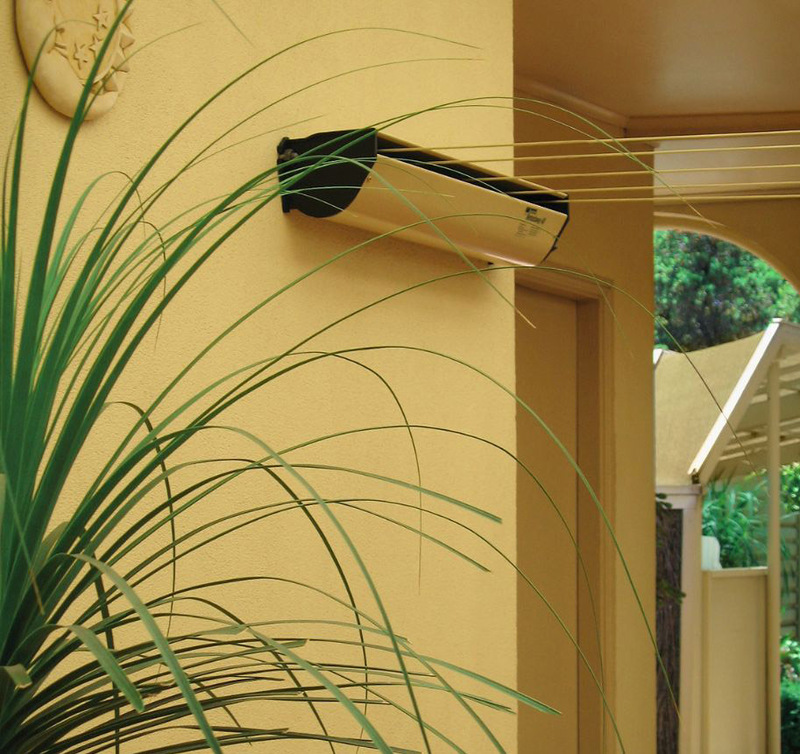 Plus smaller more compact models for use on balconies and terraces and in studio living situations. 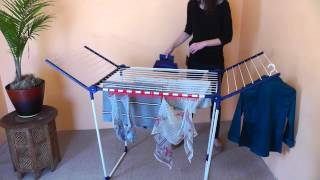 Come and see our brand new range of Hills Supafold Folding Frame Drying Racks and notice the benefits it can bring to the convenience of doing your laundry. The latest in Folding Frame models provide the user with saving space around the home, and it's design rids the laundry process of becoming a chore. 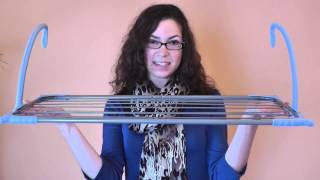 Discover how these drying racks can be installed almost anywhere. 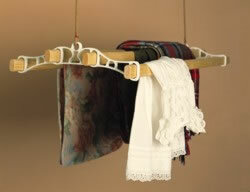 Drying Racks not only rid costly energy bills, but they are lightweight, easy to stash away and portable too! 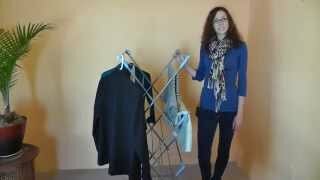 Available in a huge amount of sizes and colors, you are sure to find a drying rack to suit your needs. 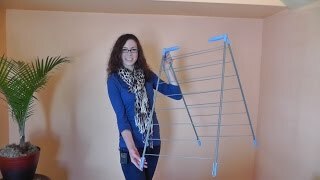 Made from durable steel and plastics, the lastest variety of Drying Racks we feature are perfect for any indoor or outdoor situation. 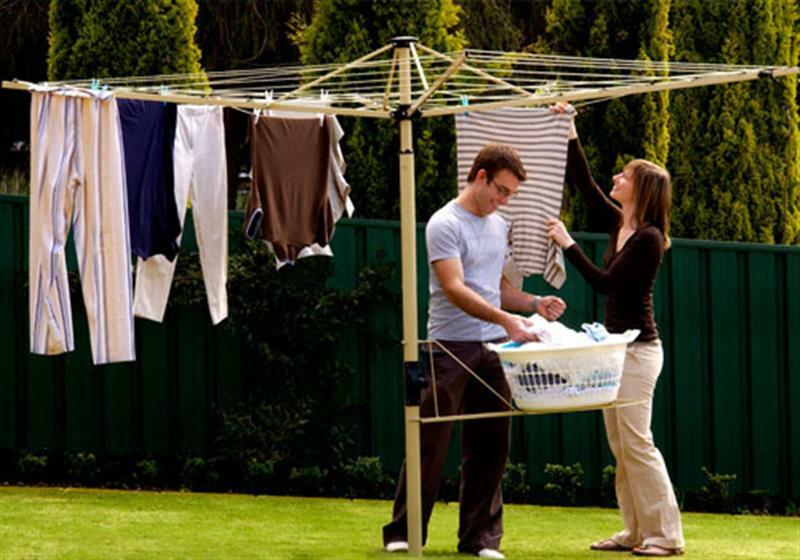 Pulley Clothesline Kits are an excellent way to save space when drying your laundry around the home. 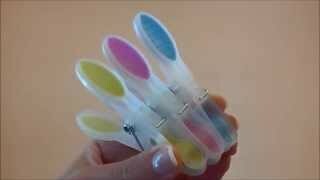 With the option for the user to mount the pulley almost anywhere, Pulley Clothesine Kits are also very easy to install. 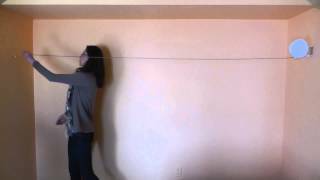 With most model featuring heavy duty pulleys and strong, durable wire for the line, Pulley Clothesline Kits are ideal for anybody living in tighter spaces such as units or townhouses. And We Ship to Canada!